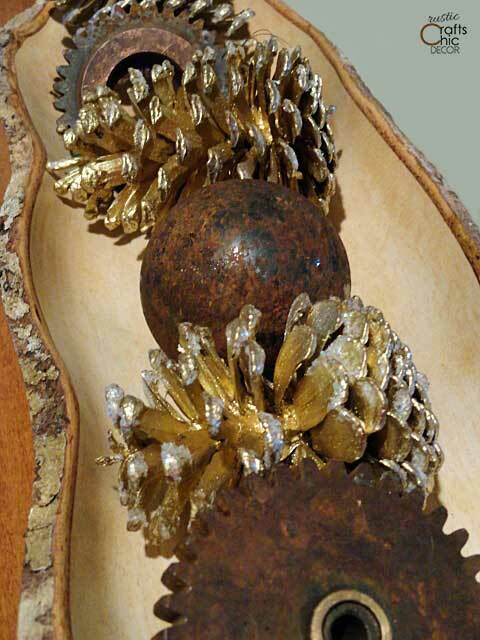 Rustic Christmas decor can be accomplished in several different ways. One of the ways to add some instant warmth, nostalgia and character is to incorporate items that are vintage. All of these Christmas decorating ideas use vintage pieces or salvaged metal to add some rustic charm. Over the years, my husband and I have collected a pretty nice assortment of these types of items so I have a great supply to draw from. At Christmas, I change up my fireplace mantels to reflect the holiday. Instead of continually buying new Christmas decor to get a new look each year, I create my own festive decorations from what I already have in the house. This year, I brought out a couple of my favorite Christmas mantel decorations and then went to work on creating something new. I looked around in some of the rooms in our basement and found a cool old red metal tin battery holder for a miners light. It was perfect to make into a vase for a Christmas arrangement. I added some vintage wooden blocks underneath the light to complete the look. 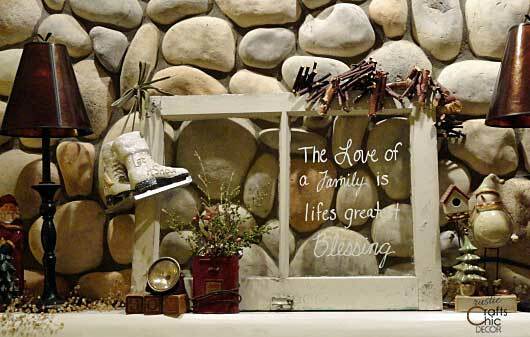 My old window sign and my rustic branch garland add more rustic accents to the mantel. Who says Christmas has to be all silver and gold! 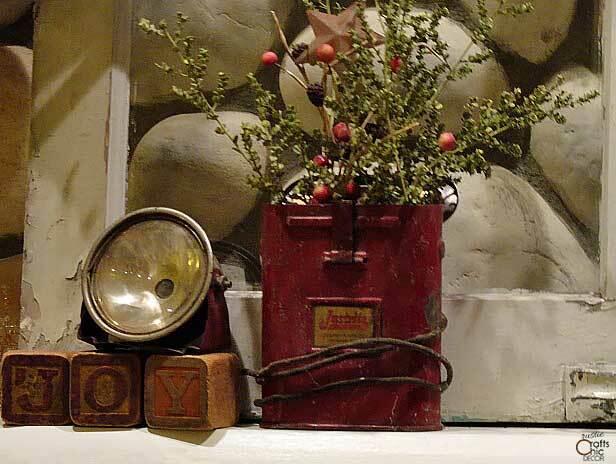 Contrasting typical Christmas decor with some old and rusty parts helps to convey warm and rustic. 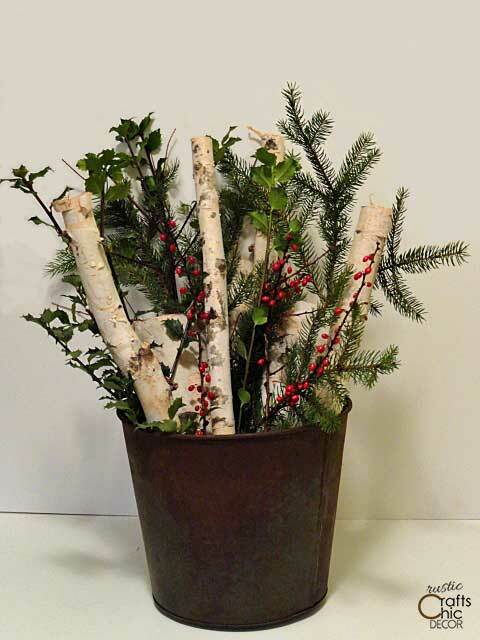 I like to have a container of birch logs set out for the holiday season and this year I have a nice rusty bucket to display them in. I went out into the yard and cut some greenery and red berry stems to add to the bucket and now have a very festive and rustic display. 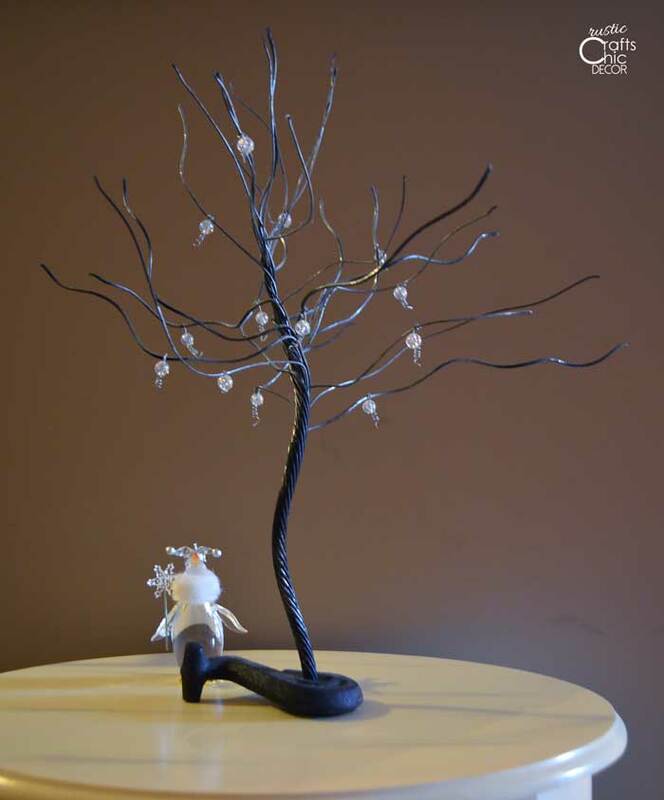 Finally, my husband and I created a funky steel winter tree. He formed the tree from an old salvaged cable. Then, I decorated the tree with glass beads. The result reminds me of trees glistening with ice in the winter time.